Do you have a business in the Holistic Health, Healing, Metaphysical, or Spiritual profession? Would you like to have your own weekly, one hour Podcast, Radio or TV Show? 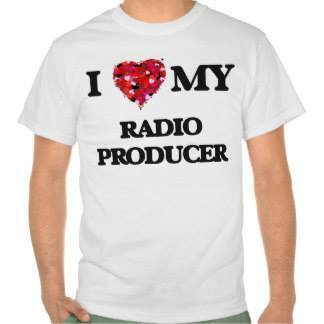 Host your own 1 hour, weekly Podcast, Radio or TV Show with Goldylocks Productions. We have a fantastic Team of Show Hosts and would be honored to have you join this Elite Team of professionals. Goldylocks Productions will produce your own Live or prerecorded internet Podcast, Radio or TV Show. We have utilized these programs for TV: BeLiveTV, Facebook Live, Livestream, Ustream, Wirecast, and recording Skype interviews for web TV Live and prerecorded shows. For Live Podcasts and Radio, we currently use Blog Talk Radio. It is required for you to have one of the following experiences: a former or current Podcast/Radio Show Host, Public Speaking, an active Teacher or Presenter. This includes online video presentations such as webinars, telesummits or your own personal spiritual presentations. Sure, you can pay for and produce your own Podcast, Radio or TV Show. The monthly Membership fee covers all Production, Storage for Archived Shows and Promotional costs. You will have the peace of mind that everything is running smoothly in the background while you concentrate on your show, your spiritual platform, and share your Love and Light to all that are ready to receive! If you are interested in proceeding, an interview with the Producer will need to scheduled. Contact the Producer via email. Podcast and Radio Show Host ~ $50 (USD) a month. TV Show Host ~ $75 (USD) a month. Advertising ~ $15 (USD) a month. Promote your services or small business by Advertising with us. Contact the Producer for the details. Terms of Service: You will receive a weekly, one hour live show, archived show storage, as well as marketing and promoting of your show. Regardless of how many shows you have a month, the monthly fee will remain the same. This is a month to month service with no contract. Cancel anytime. No refunds. By signing up to this service, you agree to these terms. Show Hosts will receive a Member's Manual with detailed instruction on their role as a Show Host. with Goldylocks Productions. "Anybody wanting to host their very own Spiritual Radio Show should sign up with Goldylocks Productions! It's absolutely Fabulous and Rewarding to be a part of Team Goldylocks, so definitely look into it!!!!" ~ Rev. Bryan Rawls, Host of 'A Magickal Journey' Radio Show on Wednesdays at 8 pm ET. "I am so blessed having the gift of a Medium. I love what I do. I am grateful for Goldylocks Productions." ~ Jimmy Mack, Host of 'The Jimmy Mack Healing Radio Show on Tuesdays at 9 pm ET.